This article is the second part of Audit Your Infrastructure with Rudder series. 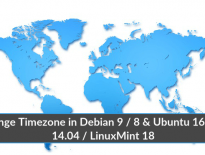 Here, we will cover the installation of Rudder agent on CentOS / Ubuntu / Debian. 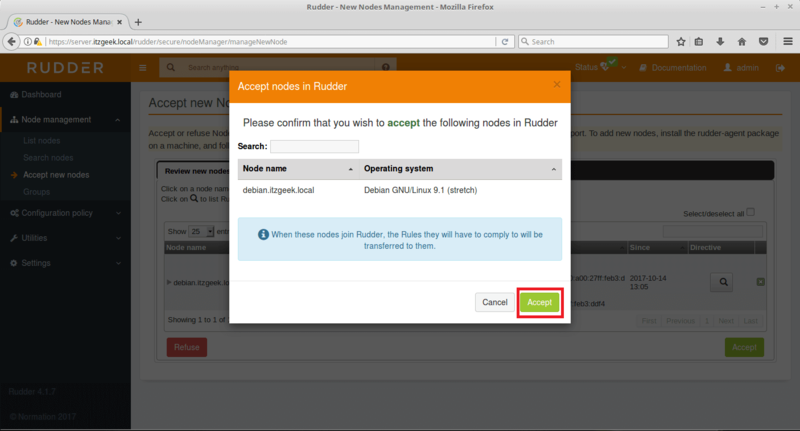 Rudder agent is a client software and it needs to be installed on all nodes (hosts) to have them audited by Ruder server. A node can either be physical or virtual. Microsoft Windows Server 2008, 2008 R2, 2012, 2012 R2 (requires the commercial version of CFEngine – Rudder Agent). There is no special requirement for Rudder agent. Rudder agent is available on Rudder repository, so add it on all nodes you want to be audited by Rudder. You can use yum in CentOS/RHEL and apt-get in Ubuntu/Debian for installing Rudder Agent. Update the Rudder agent configuration file with IP Address or hostname of the Rudder server. We suggest you use the IP address of the Rudder Root Server. 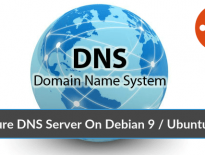 The DNS name of this server can also be accepted if you have a trusted DNS infrastructure with proper reverse resolutions. Start the rudder agent service. Wait for few minutes after the start of Rudder agent. A new node should be pending in Rudder web interface. Go to Rudder >> Node management >> Accept new nodes. Select your node and click Accept. 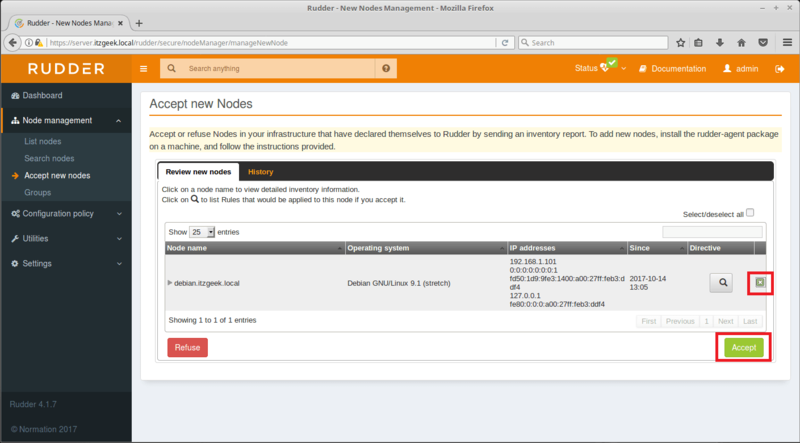 Check the new node on your nodes list, Rudder >> Node management >> List nodes. Check a node again for compliance. That’s All. You have now finished the installation of Rudder Server and Agent. Also, added an agent to Rudder server. We will be back soon on how to perform an auditing of a node with Rudder server.